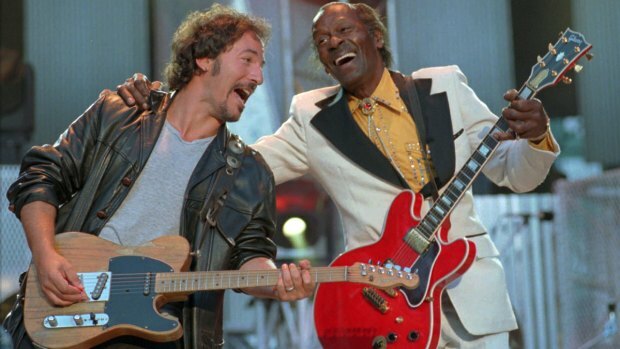 The album includes a track titled "Lady B. Goode"
Chuck Berry's final studio album will be released on June 16. The album, titled "CHUCK," was announced in October, five months before the rock pioneer's death on Saturday at the age of 90. 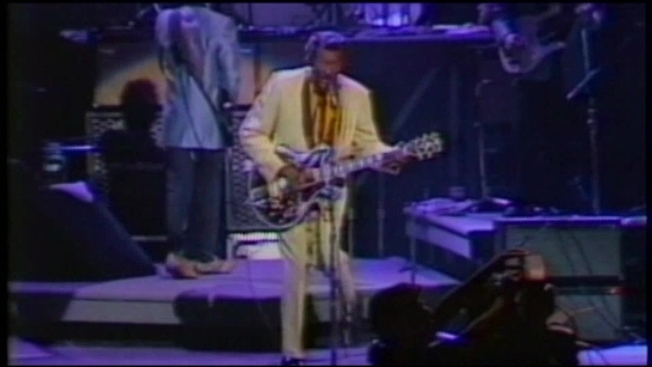 "CHUCK" is Berry's first album since 1979's "Rock It." Dualtone Records says eight of the 10 new recordings were written by Berry, who worked on the album until 2014. Dualtone says he continued to oversee production and enlisted his family and a friend to help complete it. In addition to Berry's children and grandson, the album features performances by Nathaniel Rateliff and Rage Against the Machine's Tom Morello. The album includes a track titled "Lady B. Goode," described as a spiritual sequel to one of Berry's biggest hits, "Johnny B. Goode."